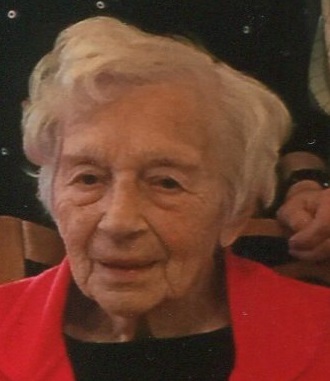 Mrs. Antoinette (Sanchirico) Bartucca, 98, of Bristol, died on Thursday, Jan. 24, 2019, at the Avery Heights Health Care Center. She was the wife of the late Bruno Bartucca for 53 years. Antoinette was born in New York City on March 31, 1920, the daughter of the late Antonio and Filomena (Console) Sanchirico. She grew up and lived the remainder of her life in Bristol. She possessed unfailing faith, an indomitable will, limitless energy, and a boundless capacity for caring for others. Her home was always filled with family, friends and good food. A lifelong gardener, she provided fresh vegetables and flowers for her dining table and home. There was always room for another plate at the table for the unexpected guest and she always welcomed her sons’ friends as if they were part of the family. For many years she was a volunteer at. St. Anthony Elementary School. Later in life she was a member of the Grace Nesci OSIA Lodge 1826 and the Rosary Society of St. Anthony Church. She volunteered at the Bristol Senior Center, St. Anthony Church, the Bristol Community Organization, and The Carousel Museum. She never met anyone who she wasn’t willing to help. She is survived by three sons and their wives, Peter and Barbara (Bobbie) Bartucca, William and Joan Bartucca and James and Deborah Bartucca; her grandchildren, Erin DeSilva and her husband, Daniel, Michael Bartucca and his wife, Erika, Nicholas Bartucca and his wife, Paxton, Jamie Bartucca, and Sarah Bartucca; her sisters, Rosalie St. Lawrence and Josephine Bond; many much loved nieces and nephews, and dear friends. She was predeceased by a fourth son, Anthony Bartucca who died in infancy; her brother, William Sanchirico; her sister, Assunta Ronzello; her caring step-father, Joseph Ronzello, and a dearly loved nephew, Anthony Sanchirico. Antoinette’s family extends profound gratitude and special thanks to Avery Heights Health Care Center and its wonderful staff of caregivers, who provided a loving environment for Antoinette in her final days.